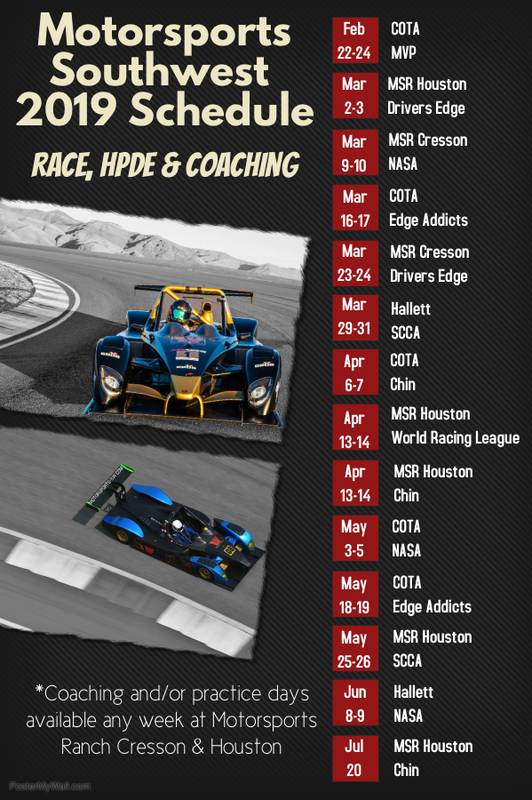 Motorsports Southwest is excited to announce our Arrive & Drive schedule for 2019! We now have the schedule for 2019 Arrive & Drive events. Below is the full MSSW Arrive & Drive Event Schedule. Additional dates will be added when finalized for the second half of the year. Interested? Contact Dean Turnbaugh at: dean@motorsports-sw.com or 512.413.5359.